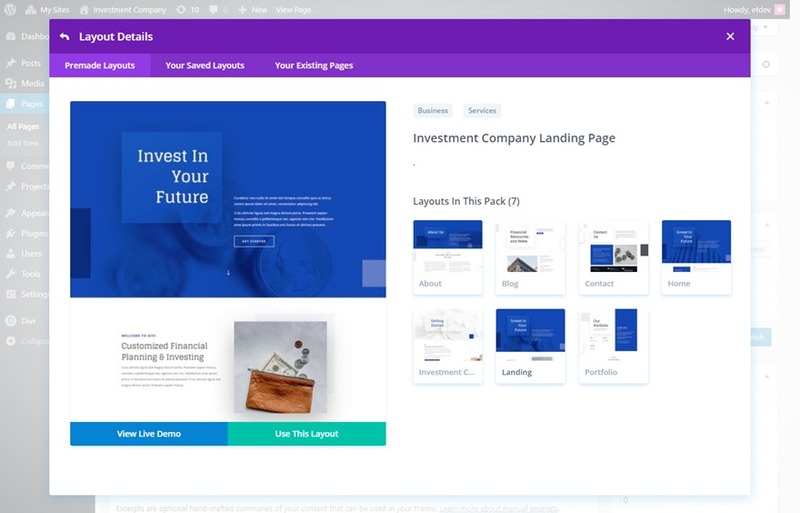 For the first layout this week, Kenny and his team have created a brand new Investment Company Layout Pack. This Layout Pack is professionally crafted to promote financial services, resources, and portfolios. 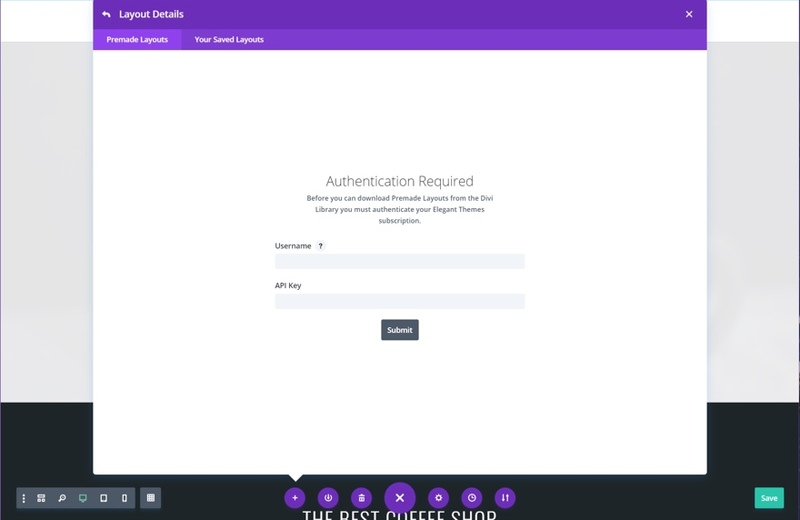 It even has a dedicated page to inform visitors of your business process. Plus, all the custom icons and images are free for your to use as well. This Investment Company layout pack is perfect for any business looking to promote their financial services. The How It Works page is great for educating visitors about your service process and the Portfolio page is perfect for showcasing example gains on investments. The design is extremely clean, uncluttered, and easy to read, with subtle modern design elements sprinkled throughout. To access your new layout, simply activate the Visual Builder when editing a page and look for the “Load From Library” icon in the page settings bar (it looks like a plus symbol). Click this icon to launch the Load From Library popup. Under the Premade Layouts tab, you can easily find the new layout by scrolling through the list of layout packs. Once you find the Investment Company Layout Pack, click on it. You will see all the individual layouts included in the pack. Select the layout you want for to use and then click the “Use This Layout” button. The post Get a FREE Investment Company Layout Pack for Divi appeared first on Elegant Themes Blog.